Mackenzie Ridge luxury houses and area. Maple, Vaughan. Ontario. Maple is a rapidly growing suburban neighborhood in Vaughan, located just northwest of Toronto. 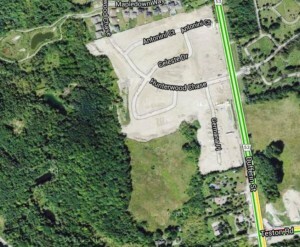 The Mackenzie Ridge (Maple – Vaughan, Ontario) area is situated north of Teston Rd, west of Dufferin Street and east of Bathurst Street. The residential areas in Maple continue to flourish, which also means that the transportation infrastructure is growing as Vaughan continues to develop. Imagine a custom-made home of your dreams, in a location to suit. 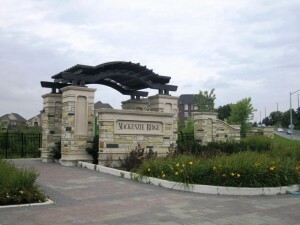 The area offers a exclusive collection of ravine lots on quiet cul-de-sac parts. This pristine location promises to be the pinnacle of luxurious estate living in Maple. Transportation: With easy access to highway 400, 407, and the GO Transit lines, getting around is easy enough. Just a few years ago, Maple received its own bus-rapid-transit service. It is only logical that if more homes are being built, more and newer transportation methods follow, Maple is doing it right. Mackenzie Ridge is a unique area for living. You can find luxury standalone houses throughout the entire area. Over the past two to three years, we have seen Mackenzie Ridge grow into a family neighborhood on the west side of Dufferin. The area offers large luxury four – five bedroom homes on great lots for those moving up and wanting luxury lots and homes. Investment opportunities and overall prices have increased substantially over the past few years. There are elementary schools and high schools in the community as well as catholic schools that perform well when compared to the rest of the York region.